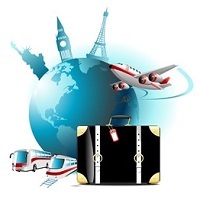 The Tour & Travel industry has numerous opportunities for people in various sectors such as Retail Travel, Visitor Information, Cruising, Transportation, Wholesale Travel, Events etc. A large number of professionals in this industry include Ticketing agents, Tour operators, Travel agents and people working with allied service providers. An ability to think on toes and good knowledge of world-wide locations is a plus since they have to work as per the preferences of the travelers and sometimes even go beyond the call of duty. Basic qualification and familiarity with regulations of IATA and similar organizations is also required. We hire professionals from this sector for many companies across India and have dedicated database for the same.